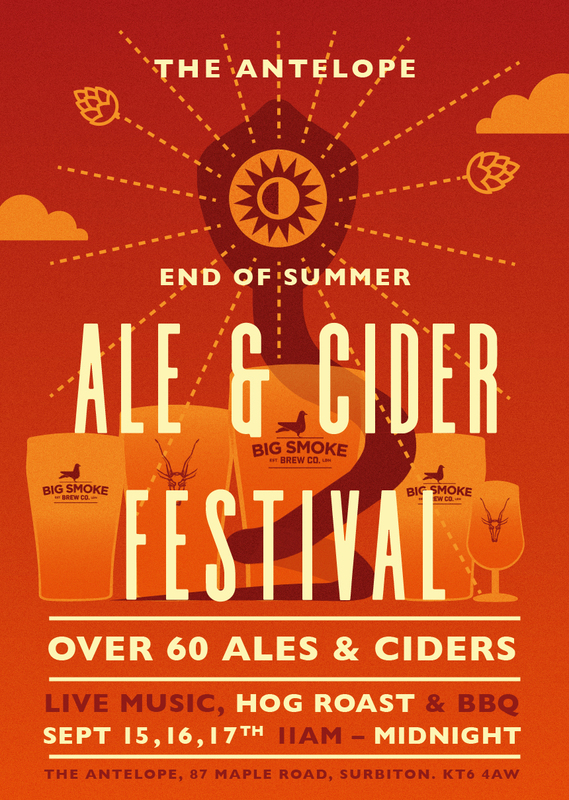 The Antelope Ale & Cider Festival — Big Smoke Brew Co.
Join us from the 15th to 17th of September for a celebration of all things beer and cider! Over 50 cask ales and ciders as well as 20 excellent keg beers make this THE event for the discerning beer lover. Music comes in the form of We Ghosts and The Dimmocks and there'll be a hog roast and BBQ to keep you going. Free Entry and no tickets - Just bowl up!